Russia is committed by treaty to defend Armenia. Turkey has pledged to protect Azerbaijan. Renewed conflict over Nagorno-Karabakh could reverberate in dangerous ways. Russia is committed by treaty to defend Armenia, Turkey has pledged to protect Azerbaijan, and Iran borders both nations and contains an Azerbaijani minority that far outnumbers the population of Azerbaijan itself. Furthermore, the South Caucasus region has been essential to efforts to reduce the European Union’s energy dependence on Russia and has been a major recipient of Western foreign direct investment and aid. New oil and gas pipelines have benefited Azerbaijan, Georgia, and Turkey; their economies now depend on the revenues and energy this vulnerable network provides. Renewed conflict risks triggering civil unrest or a humanitarian crisis in Armenia and Azerbaijan, or neighboring states, and could lead to even greater Russian military involvement in the region. The high level of attention Washington has paid to Nagorno-Karabakh—which includes twenty years of working alongside Russia and France as co-chairs of the OSCE Minsk Group—underscores the strong U.S. interest in preserving peace. The likelihood of another outbreak of fighting at the level observed in April 2016, or higher, is significant. That clash roused nationalist sentiments, fed growing political discontent in Armenia, and showed Azerbaijan that it can regain some territory by force. Conflict could resume as a result of inadvertent military actions or a deliberate provocation. Inadvertent military action. Heavily armed military units are presently deployed in close proximity to one another along the line of contact separating Nagorno-Karabakh from the rest of Azerbaijan (see map) as well as the border between Armenia and Azerbaijan. No peacekeepers separate the warring forces, and OSCE maintains a “monitoring group” of only six observers. Given the volatility of the current situation, a random act or miscalculation along the line of contact or the Armenian-Azerbaijani border could elicit a more pronounced military response. Such exchanges have occurred frequently since 1994 without triggering further escalation, but the April 2016 clash is widely thought to have changed this dynamic. There is now a greater risk that a relatively minor military scuffle could be used to score political points or gain a battlefield advantage, which in turn could lead to further escalation. The Azerbaijani government insists the status quo is unacceptable, arguing that Nagorno-Karabakh cannot be independent. Many South Caucasus observers believe the April 2016 “four-day war” started this way. When the fighting broke out, the presidents of Armenia and Azerbaijan were in Washington for the Nuclear Security Summit. It was not a propitious time to fight, but happenstance presented an opportunity for Azerbaijan to rally public support and marginally improve its position along the line of contact. The Armenian side could similarly escalate a future skirmish if circumstances arise in which greater confrontation would publicly reaffirm its ability to prevail in combat, especially in light of its poor military performance in April 2016. Deliberate provocation. Either side could consider taking provocative actions regarding Nagorno-Karabakh to advance military, political, or economic goals that could disturb, if not drastically alter, the general stability that has persisted over the past two decades. The Azerbaijani government insists that the status quo is unacceptable, arguing that Nagorno-Karabakh cannot be independent and stressing that the seven provinces seized in the early 1990s remain occupied in contravention of four UN Security Council resolutions. Azerbaijan is most likely to use military force to bring the issue to a head and ultimately seek to change the status quo. Since 2006, the country has been on an armaments shopping spree, spending over $22 billion to acquire a formidable arsenal of modern military equipment that Armenia cannot match. These purchases have eroded Armenia’s traditional military edge which was based on not just armaments but also superior leadership, training, and commitment. Now that Azerbaijani President Ilham Aliyev has learned that territory can be liberated by force without real political cost, he could use Baku’s perceived military advantage to affect a strategic change in the line of contact. The Azerbaijani government is under pressure to show that it remains capable of defending Nagorno-Karabakh. Azerbaijan could also initiate a small-scale military operation to build popular support and dampen complaints about poor governance and continued economic weakness. The April 2016 clash demonstrated the effectiveness of this strategy. President Aliyev had been pointedly criticized for restricting opposition parties, arresting activists, and curtailing freedom of the press. These actions, coupled with a sharply declining economy, resulted in mass protests in early 2016. When fighting broke out with Armenia, however, patriotism soared, flags flew from windows, and young people declared their readiness to enlist. Today, Azerbaijan’s economy continues to sputter, energy prices remain volatile, and its currency continues to depreciate. In 2016, the country’s gross domestic product contracted by at least 3 percent. Growing poverty makes further social unrest in 2017 likely. Similar reasoning could prompt Armenia to up the ante in Nagorno-Karabakh. Armenia’s economy is also weak, and protests there have included fierce criticism of the handling of Nagorno-Karabakh. Important military leaders were replaced following the fighting last April. In July 2016, dozens of Karabakh war veterans seized a Yerevan police station and held hostages, and thousands of Armenian citizens took to the streets in support. This led to the prime minister’s resignation in September. Protesters accused Armenia’s leadership of treachery for considering territorial concessions. The government is under pressure to show that it will stay tough in the OSCE Minsk Group negotiations and that it remains capable of defending Nagorno-Karabakh and retaining control of the surrounding occupied territories. Armenia could decide that the time is ripe to formally recognize an independent Nagorno-Karabakh. At the time of the April fighting, Armenian President Serzh Sargsyan declared the government was prepared to take this dramatic step should “military operations continue and grow in intensity.” Azerbaijan has made clear such recognition would force it to withdraw from Minsk Group negotiations and pursue a military solution. The Armenians also have long stated that if they are attacked, Azerbaijan’s energy sector would be an immediate military objective. The Baku-Tbilisi-Ceyhan pipeline is a particularly vulnerable target, closely skirting the Nagorno-Karabakh line of contact (not far from Mardakert, the site of some of the fiercest fighting in April) and the Armenian border. Another potential target could be the mammoth Sangachal Terminal, which is pivotal for processing oil and gas from Azerbaijan’s offshore platforms. Either action would cripple Georgia (which relies on Azerbaijan for 90 percent of its natural gas imports) and harm Turkey. No outside actors would obtain any significant advantage from renewed large-scale combat, so external meddling is currently not a particular concern. However, Russia derives some benefit from general instability and certainly profits by selling arms to both sides. A major confrontation between Armenia and Azerbaijan could bring Turkey and Russia into direct military contact or draw Iran into the conflict, but these scenarios remain less likely. Because tensions are high and military forces are already deployed, there are no warning indicators for the unplanned, small-scale skirmishes that could lead to military escalation. 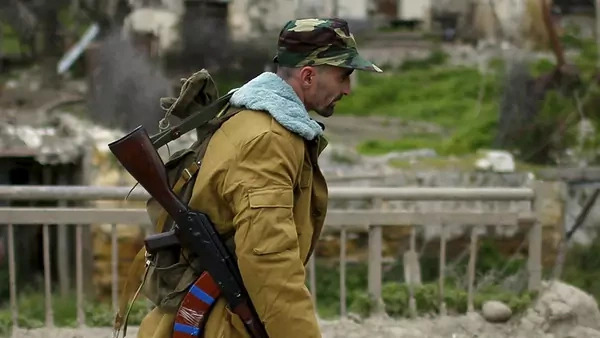 One dangerous sign would be the increase in exchanges of fire, now primarily occurring along the line of contact, to the uncontested border between Armenia and Azerbaijan. Such an incident occurred near Chinari on December 29, 2016, resulting in four military fatalities. This prompted a quick statement by the OSCE Minsk Group co-chairs that urged the conflicting parties to stabilize the situation and return human remains. Russia supplied over 80 percent of the armaments recently purchased by Azerbaijan. Deliberate acts could be preceded or prompted by public declarations and other measures intended to generate domestic support, including complaints about the Minsk Group. Although Armenia’s formal recognition of Nagorno-Karabakh would cross a political red line and cause Azerbaijan to withdraw from the peace process, other statements or symbolic political moves could signal its intent to provoke conflict. Already, opposition lawmakers have submitted a draft bill to the Armenian parliament to recognize the “Nagorno-Karabakh Republic.” In November 2016, the speaker of Nagorno-Karabakh’s National Assembly announced that a draft constitution was under consideration that would rename the region the “Artsakh Republic” (its Armenian name) and delineate its boundaries. A referendum on this constitution could happen in the coming months. President Aliyev’s 2017 New Year’s message reiterated that the conflict can only be settled in line with Azerbaijan’s territorial integrity; Armenia’s prime minister, in turn, declared he would not support territorial concessions for the sake of peace. Detectable signs of escalating tensions could include unusual Azerbaijani military movements and other preparations in anticipation of offensive operations. In contrast, Armenian threats to strike Azerbaijan’s energy sector would require less visible preparation. Yerevan conducted a military exercise in 2012 that possibly included a missile strike on oil facilities. In 2016, Russia provided Armenia with the Iskander mobile missile system, which could strike strategic targets deep in Azerbaijan. Moscow’s stance in the region merits close attention. Russia has a commitment to defend Armenia, provides this Collective Security Treaty Organization (CSTO) partner weapons at a discount, and maintains a base in Gyumri with about five thousand military personnel. At the same time, Russia supplied over 80 percent of the armaments recently purchased by Azerbaijan. Moscow seeks a “strategic partnership” with the two nations and argues that it uses arms sales to maintain parity, both in absolute terms and in the quantity and quality of weapons systems. That parity, however, can be hard to measure and harder to achieve. Arms purchases or future planned acquisitions by either side could appear to offer a decisive advantage, indirectly sparking hostilities. Armenian protesters have criticized Russia for enhancing Azerbaijan’s offensive capabilities, indicating growing unease in Armenia about Russia’s loyalty and reliability as a defense partner. Azerbaijan could view with similar unease Russia’s sale of the sophisticated Iskander missiles to Armenia. In any case, that acquisition gave impetus for Azerbaijan to purchase Israel’s Iron Dome missile defense system in December. The United States has made Georgia its leading regional partner. Extensive hostilities over Nagorno-Karabakh jeopardize the considerable successes the United States has achieved over the past twenty-five years in promoting the independence and autonomy of Georgia, Armenia, and Azerbaijan, and supporting their political and economic development. Two U.S. imperatives—deterring Russian revanchism and establishing a new transportation network to deliver energy resources from Azerbaijan and Central Asia to Western markets independent of Russia and Iran—could be imperiled. Furthermore, renewed warfare could exacerbate already problematic U.S. relations with Russia, Turkey, and Iran, each of which could become embroiled in the conflict. Large-scale combat could undermine democratic institutions and create unrest in Armenia and Azerbaijan as vital resources are diverted, infrastructure damaged, and civilian populations dislocated. The two countries already have difficulties meeting the regular needs of their people. Neighboring Georgia would be challenged to manage potential refugee flows should there be a protracted conflict. Even more troublesome for Tbilisi would be the economic troubles such warfare could bring. Georgia depends on Azerbaijan for energy, and its economy relies heavily on cross-regional trade, tourism, and revenue from pipelines; a shortfall or halt in natural gas deliveries could literally turn out the lights. The United States has made Georgia its leading regional partner, and Tbilisi would expect Washington’s political and economic support. Massive Western investments in the region’s energy sector, particularly the current $28 billion Southern Gas Corridor project, would also be threatened. Significant fighting between Armenia and Azerbaijan could further complicate an already troubled U.S.-Russia relationship by providing opportunities to expand Russian political and military influence in the South Caucasus. Increased tensions over Nagorno-Karabakh already led Russia and Armenia to establish a long-planned joint defense force in November 2016. Russia could respond to warfare by enlarging its military contingent in Gyumri, deploying peacekeeping forces to quell hostilities, or becoming militarily involved in the conflict in fulfillment of its treaty and CSTO obligations. Renewed conflict over Nagorno-Karabakh could also complicate U.S. relations with Turkey and Iran. During the April 2016 fighting, Turkish President Recep Tayyip Erdogan vowed that his country would support Azerbaijan “to the end,” reflecting Turkey’s 2010 commitment to be a guarantor in case of an attack on Azerbaijan. According to both governments, Turkish-Azerbaijani relations are characterized as “one nation, two states” (like Northern Cyprus). By contrast, Iran, which was struck by errant artillery rounds, offered its “good offices” to help facilitate a resolution. Tehran reiterated this proposal in December 2016 and February 2017. Current friction in U.S. relations with both Turkey and Iran makes significant independent involvement in the settlement process or on security issues by either party problematic and more likely to impede rather than advance long-term prospects for peace. Washington has, however, worked closely with Ankara and Yerevan to improve Turkish-Armenian relations by dealing with their shared past (e.g., the Armenian genocide question), expanding bilateral trade through lifting blockades, and normalizing diplomatic relations. Active warfare would hinder U.S. objectives. Least likely, but significant for U.S. interests, would be a full-scale conflict between Armenia and Azerbaijan that brought both Turkey and Russia into military action, potentially along with their corresponding alliance entanglements. Finally, this dispute was the first conflict-mediation effort undertaken by OSCE. Failure would hurt the institution’s credibility to mediate other conflicts. It would also reflect poorly upon the United States, which has played a significant role in the Minsk Group process from the beginning. The United States cannot unilaterally prevent renewed conflict over Nagorno-Karabakh. It could, however, undertake or support a variety of diplomatic initiatives that might pressure the parties to become more involved in the peace process and attenuate prospects for renewed violence. Some of these measures would be effective in combination; others are mutually exclusive. Move to transfer mediation responsibility from OSCE to the United Nations. This action would necessitate support from Russia and France, as well as the concurrence of the other OSCE member states. This option would retain the influence of all three co-chair nations (as permanent, veto-wielding members of the UN Security Council), while allowing them to distance themselves from direct responsibility for mediation. The high-level attention that Washington and Paris have heretofore given to this dispute would likely dissipate, although Moscow’s involvement (as the dominant regional power) could become even more consequential. Azerbaijan would likely welcome such action. Armenia, however, has long regarded the United Nations as biased because of the Security Council’s early support for Azerbaijan’s territorial integrity. Threaten to withdraw from OSCE Minsk Group leadership. Both Armenia and Azerbaijan have relied on U.S. involvement as a counterweight to Russian influence; U.S. withdrawal would upset that balance. This prospect could compel the conflicting parties to assume more forthcoming positions. If Armenia and Azerbaijan still refused to compromise, the United States could follow through on the threat, thereby reducing its exposure to being party to a failed conflict resolution effort. However, a withdrawal could enlarge Russian influence in the South Caucasus. Many policymakers in Russia and across Europe would view this action as Washington ceding the region to Moscow as the latter’s implicit “sphere of influence.” Additionally, this step could undermine U.S. and OSCE efforts to effect conflict resolution in Ukraine, Georgia, and Moldova. Invigorate the Minsk Group co-chairs to promote a resolution, rather than manage the conflict. As is the norm, the mediation process has not sought to impose a solution but to assist the conflicting parties in their own efforts to find a mutually acceptable peace settlement. The United States could, along with Russia and France, shift from a generally passive mediation approach to an assertive one, vigorously pushing for genuine compromise from each side. Such a united stance, backed by political leaders of the co-chairing nations, could raise the political cost of military action and improve prospects for a more serious dialogue toward peace. Insist that agreed-upon confidence- and security-building measures (CSBMs) be implemented. Two CSBMs advanced by the Minsk Group co-chairs were nominally accepted by Aliyev and Sargsyan last spring: increasing immediately the number of OSCE field observers (from six to fifteen) and creating an incidents investigation mechanism. Both efforts have been stalled. These steps and others like them could provide early warning of military action and help identify violators of the cease-fire. Azerbaijan has long opposed CSBMs, believing they only strengthen an intolerable status quo. Armenia has responded more positively. If Baku continues to block such measures, the co-chair nations could weigh an alternate mechanism (outside OSCE) that might assist with establishing such capabilities on the Armenian side of the border. Similarly, Minsk Group co-chairs could pressure both parties to uphold the risk reduction measures they agreed to under the OSCE Forum for Security Cooperation framework, such as providing at least forty-two days’ advance notification of large-scale military exercises. A more significant role for Turkey could boost peace efforts and help encourage Azerbaijani participation. Explore more significant CSBMs. Additional measures—such as greater separation between Armenian and Azerbaijani military forces, hotlines between their civilian and military leadership, and a meaningful surge in the number of international observers—could foster greater stability by increasing transparency and predictability of military action. The current OSCE observer contingent, even if supplemented by the minor increase now under consideration, is woefully inadequate to the task at hand. The mandate of the personal representative of the OSCE chairperson-in-office in the region, responsible for the limited monitoring now being carried out, could also be expanded. Actively exploring such steps could induce the parties to negotiate in good faith. Discourage economic support and private investment absent moves toward peace. The credit rating agency Moody’s has already given a negative credit outlook for the South Caucasus in 2017, identifying geopolitical conflicts as a negative influence and citing specifically the flare-up between Azerbaijan and Armenia. In this milieu, public statements of concern regarding risks due to the increased prospect of war could build leverage by warding off major investments. International financial institutions (IFIs) are particularly important in this regard; for example, in December 2016, the World Bank approved $800 million for loans to support the Southern Gas Corridor project. This option could highlight the cost of further conflict and the pressing need for progress toward resolving this dispute. In addition, the United States could exert additional pressure by curtailing Export-Import Bank and Overseas Private Investment Corporation activities in the region. More active U.S. involvement could serve as an early test of Moscow’s willingness to cooperate. Foster an expanded dialogue between the Minsk Group co-chairs and Turkey. Ankara could play an instrumental role, supporting an eventual settlement and assisting with the subsequent economic integration of the South Caucasus. A more significant role for Turkey could boost peace efforts and help encourage Azerbaijani participation. This option could also help lessen the chance of military contact between Russia and Turkey should large-scale fighting invoke their alliance commitments. The United States could employ a combination of measures to prevent further escalation should significant hostilities break out over Nagorno-Karabakh. The United States could immediately work to reestablish a cease-fire. A united front from the three co-chair nations in the past helped significantly. Supporting Russia’s lead on direct negotiations with military leadership from the warring parties has proven prudent and effective. The United States could promote a UN Security Council resolution condemning any major military action. A secondary option, if known, would be to name the instigator. Working with partners, the United States would penalize the party that initiates any major escalation—through public condemnation and potentially by withdrawing economic assistance or using sanctions. It could actively discourage economic support from IFIs and private investors. The prospect of renewed conflict over Nagorno-Karabakh presents both a challenge and a possible opportunity for the Donald J. Trump administration. President Trump’s desire to cultivate a new relationship with Russia has resonated positively with Russian President Vladimir Putin, but ignited strong criticism from influential members of Congress and the American foreign policy establishment given Moscow’s aggressive moves in Crimea, Eastern Ukraine, and Syria—further compounded by Russian meddling in the U.S. presidential election. A critical question is how to initiate a rapprochement in such a contentious political setting. Nagorno-Karabakh could offer an answer. The Minsk Group represents the leading area of U.S.-Russian cooperation with both nations promoting common, uncontestable goals: minimizing warfare and advancing a peaceful settlement. The stakes at play here are important for the U.S. and its European partners, but not vital. More active involvement could serve as an early test of Moscow’s willingness to cooperate, with relatively low political cost. It could also showcase the Trump administration working constructively with two Muslim countries—Azerbaijan and Turkey. A more active peace process would make it harder for either side to take steps that entailed or elicited large-scale military action. To date, the United States, Russia, and France have worked together to promote outcomes that the parties were tempted to embrace but did not because of domestic political concerns. The three co-chairs should increase political pressure on the parties to move toward a resolution, rather than continue the passive approach, which allows the conflicting parties to set the pace and course of action. To achieve this, the co-chairs should become more actively involved and perhaps make use of incentives and penalties. Secretary of State Rex Tillerson’s energy background could be a particularly valuable asset in this endeavor. Russia took the lead in facilitating the 2016 cease-fire; the United States should do the same to encourage a resolution. The United States should also facilitate Turkey’s inclusion in periodic discussions with the co-chairs regarding settlement efforts to accentuate the political and economic role Ankara can play. Moscow should support this action. Russian-Turkish relations, strained after Turkey downed a Russian warplane near the Syrian border in 2015, have rebounded as evidenced by Moscow’s invitation to Ankara (and Tehran) to participate in the December 2016 Syrian peace talks. There is also merit to the co-chairs developing a process to apprise Iran of developments in the region. The goal should be not to make Tehran a participant but an informed supporter of efforts to maintain stability and advance a settlement. A U.S.-Russia partnership on Nagorno-Karabakh should not be as controversial or complicated as other issues, such as Ukraine, Syria, and arms control, which are marked by sharp divisions in policy approaches and goals. By exhibiting the benefits of mutual collaboration, Nagorno-Karabakh could become a stepping stone for greater U.S.-Russia cooperation. A troubling skirmish on the Armenian-Azerbaijan border in late 2016 resulted in almost daily cease-fire violations in January 2017. Given the high likelihood of renewed fighting over Nagorno-Karabakh, all steps that might reduce the chances of conflict should be considered, such as implementing the agreed-upon CSBMs and more significant measures, as well as the potential opportunity created by the risks now posed to external economic support and private investment. Possible intelligence sharing between the United States and Russia regarding military developments in this region could be helpful, as could discussions about whether strategic parity is being maintained given the substantial arms flows into the region. The Trump administration should pay careful attention to developments related to Nagorno-Karabakh and act quickly to promote preventive measures to help avoid violence, deter military action, and engender support for this conflict’s peaceful resolution. China is increasing its administrative control over the South China Sea. The U.S. government should initiate information operations that hinder China’s ability to expand and consolidate its control of the South China Sea and the airspace above it.